yet keep their shape. Enjoy! 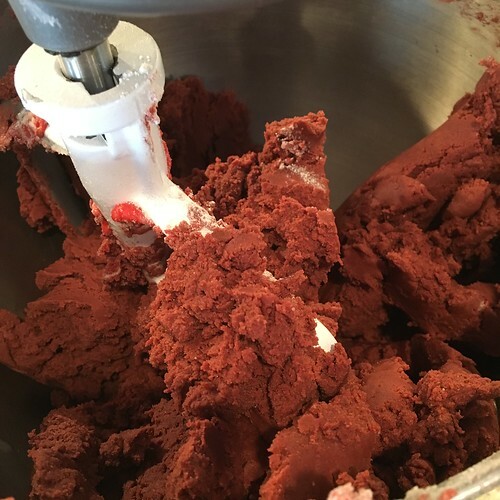 all-purpose flour, granulated sugar, butter, sour cream, red velvet emulsion, red gel paste, an egg. Also baking soda, salt and vinegar (not pictured). add dry ingredients to wet; add vinegar. 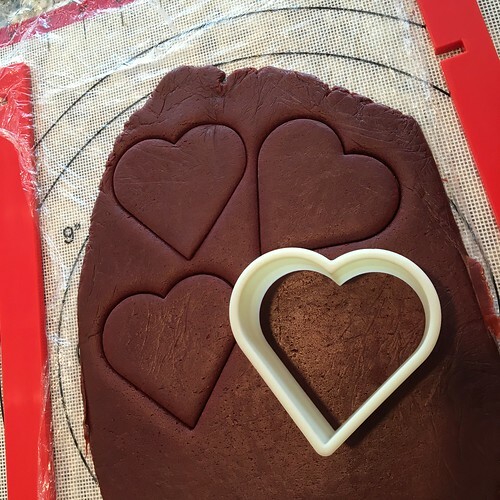 and place on a parchment-lined cookie sheet. Bake for 8 minutes at 375. 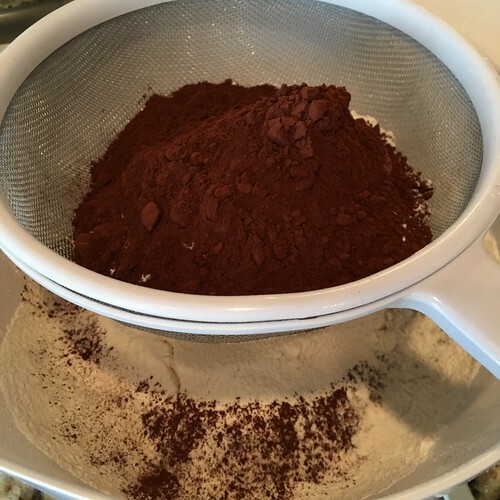 Sift together flour, cocoa powder, baking soda and salt in a medium sized bowl; set aside. 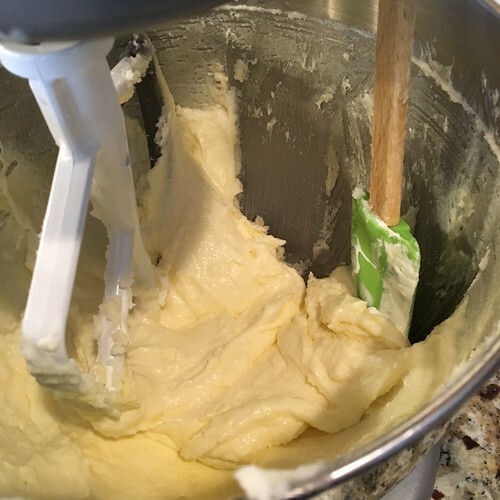 Place butter and sugar in large bowl of electric stand mixer and beat until light in color. Scrape down the bowl. Add egg and beat until combined. 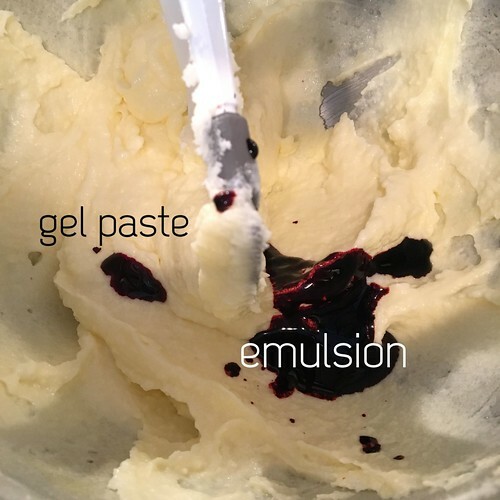 Add sour cream, bakery emulsion, and gel paste; beat until combined, smooth, and uniform in color - scraping down the bowl again if necessary. 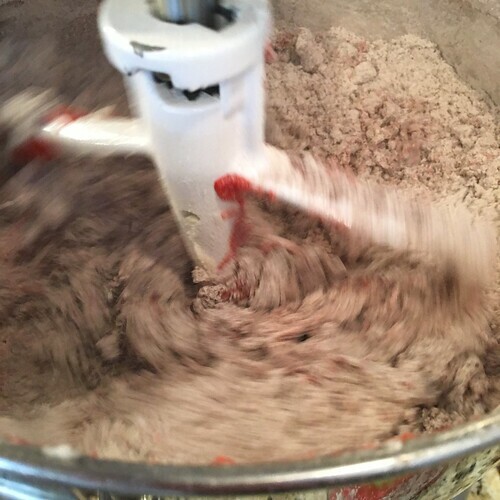 With mixer on low speed, gradually add the flour mixture and vinegar, increase speed to medium and beat until the dough pulls away from the side of the bowl. Divide the dough into fourths, wrap each in plastic wrap and flatten into a disc; refrigerate 2 hours to overnight. (If you're in a rush, you can pop it in the freezer for 15-20 minutes). Preheat oven to 375 degrees. Place one disc of chilled dough on plastic wrap, cover with a second piece of plastic wrap and roll out to desired thickness, about ¼ to ½ inch. 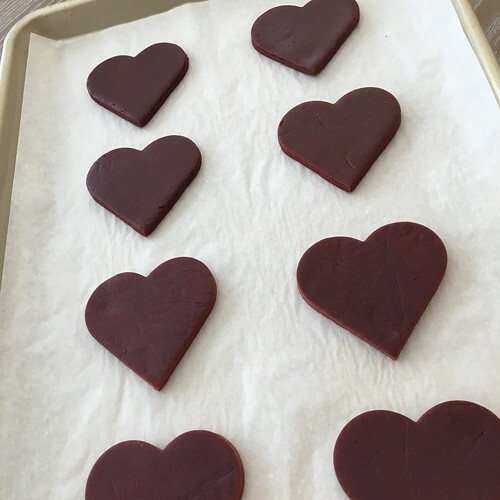 Cut in desired shapes and place 1 inch apart on parchment- or silicone-lined cookie sheet. Chill in refrigerator 10-15 minutes before baking. 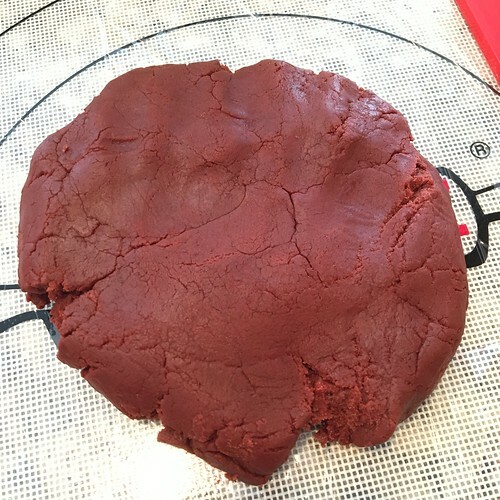 Transfer to oven and bake until dough just starts to turn brown on edges and is firm to the touch, 8 to 9 minutes, rotating cookie sheet halfway through baking time. 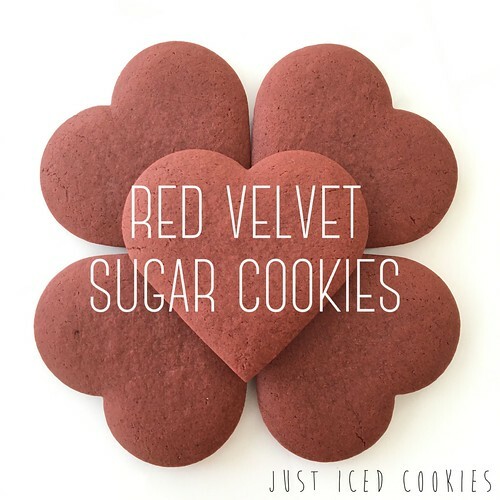 (6-8 minutes for smaller cookies). Remove from oven and let cookies remain on cookie sheet for 5 minutes; then move to cooling racks until completely cool. 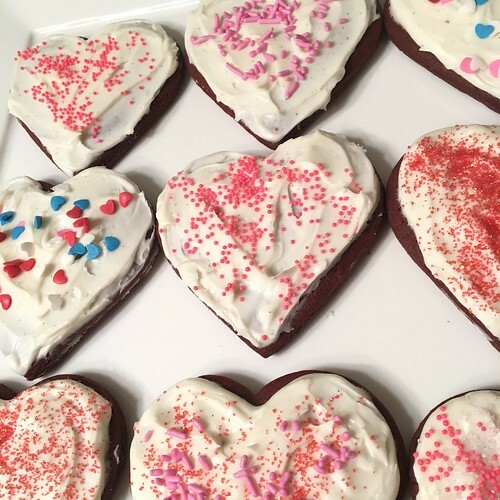 Decorate as desired with cream cheese frosting or royal icing, sanding sugar, etc. * This recipe was created at high altitude (5,100 ft). If you live at sea level or low altitude, you may want to alter the recipe by adding less flour (1/2 cup), add 1 tsp. baking powder, and reduce oven temperature to 350 and bake 10-12 minutes. If you try this, I would love your feedback! 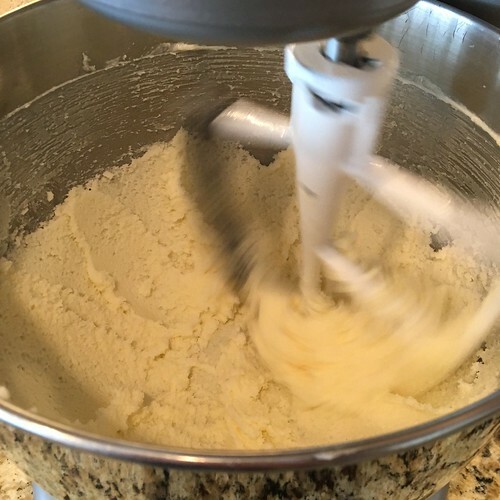 Beat together the butter and cream cheese in an electric mixer. 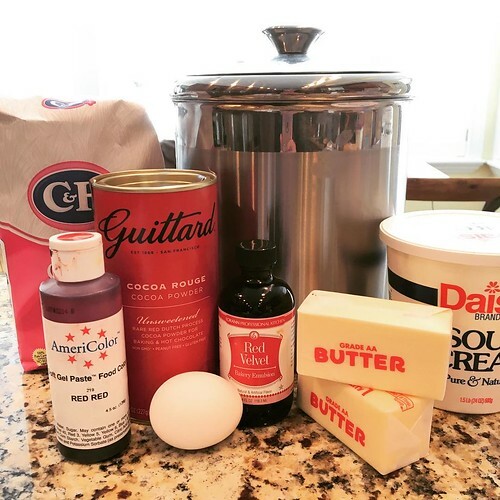 On low speed, add the confectioner's sugars slowly until smooth. 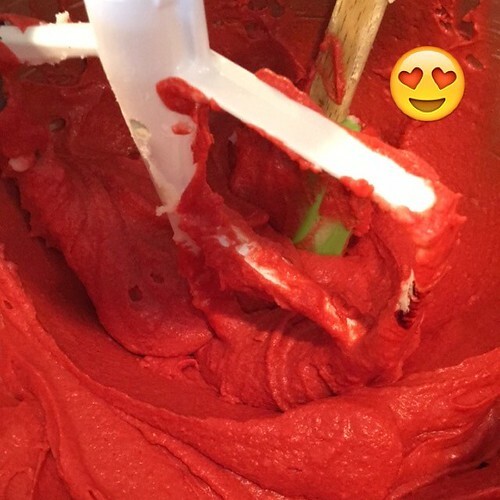 Add in vanilla paste and gel color; mix until light and fluffy. Decorate with sprinkles. if you want something easy that also tastes amazing, top with cream cheese frosting and sprinkles! Whisk together sugar and meringue powder in the bowl of a mixer. Add water and lemon juice. Beat on low speed until combined, then beat on medium high for 1-2 minutes. Add more water for desired consistency, and color with gel paste. These cookies look delist. Thanks for the baking details. Fabulous pics!